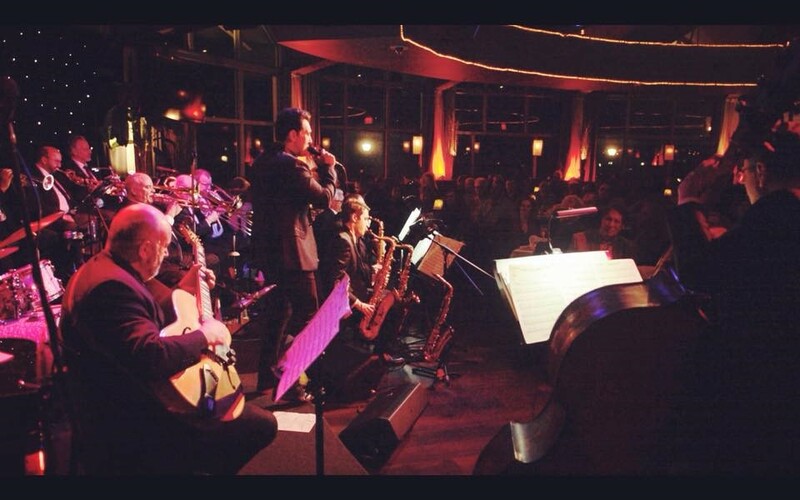 This coming Valentine's Weekend, flashback to 1966 Las Vegas & join powerhouse vocalist Chris Pinnella along with a 14-Piece Big Band as they perform the iconic live album 'Sinatra at the Sands' from beginning to end. Featuring the Quincy Jones & Count Basie arrangements and led by jazz bassist Gary Mazzaroppi (Stan Getz, Buddy Rich, Les Paul Trio). Gary Mazzaroppi attended Berklee School of Music. After graduating, Mazzaroppi toured extensively with the Lionel Hampton Big Band for five years. Since then, he has accompanied many jazz artists including Red Norvo, Herb Ellis, Stan Getz, Joe Morello, Buddy Rich, Jim Hall, Barney Kessel, Clark Terry, Charlie Byrd, and Mark O'Connor. As a frequent supporting guest on her twenty five-year PBS radio show, Mazzaroppi has played with Marian McPartland. He has also accompanied the diverse styles of Renee Fleming, Willie Nelson, Alicia Keyes, Bela Fleck, Chuck Mangione, among others. Mazzaroppi performed with both Les Paul and Tal Farlow during a New Jersey Jazz Society's PBS Special and appeared in a Cinemax Special about Les Paul as well as the PBS Special, The History of Rock and Roll. Mazzaroppi has performed from Carnegie Hall and Blue Note in New York to Tanglewood in Massachusetts to Capri, Italy.